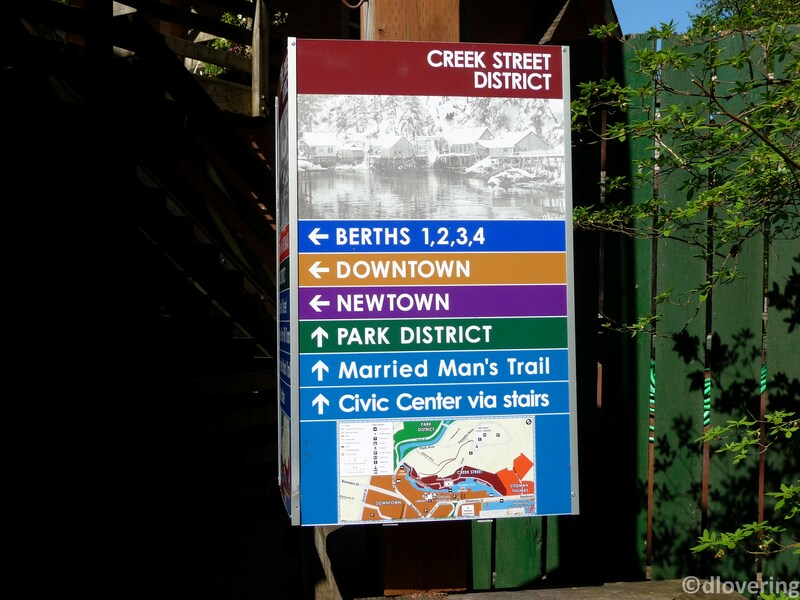 This is a guide to the Creek Street area of Ketchikan in Alaska. Fascinating place with some interesting history. Married Man’s Trail led over the river and through the woods… but definitely not to grandma’s house!! Where’s the single man’s trail? 🙂 Or the married women’s trail? Good to hear from you as always, I have missed you on FF although I have been absent from class for a while myself. Thank you Cee, that’s great news. Have a great week. Fun sign … I suppose you must be tired of the Married Man sign comments but it’s hilarious. I hope you’ll pop over and view my beachy photos. Congratulations – fellow winner. That is really funny. I’m putting my husband on the first flight. Brilliant! It was a surprise to see the sign, but evidently there had been a sign like that in place for a very long time. Good to hear from you Irene. Where is the married women’s trail? A good question … ! !